I’ve worked as the Animation Lead & Technical Director at Impatient Cow for nearly nine years. As such, I’ve become somewhat accustomed to taking on new and exciting assignments for clients from all sorts of industries—it just comes with the territory. Truth be told, I’ve wholeheartedly embraced the creative curveballs I’m thrown on a regular basis. So, when Impatient Cow began the process of launching a sister company devoted to the digitization of civil engineering projects, I couldn’t have been more intrigued. From building pedestrian walkways and busy overpasses to addressing critical safety concerns and meeting the demands of large-scale construction projects, Industrial Visualizations provides an end-to-end offering to help companies plan, implement and promote their plans. Take for example the work we recently completed for Acrow Bridge—a full-service design and engineering firm based in Parsippany, New Jersey. The company had been tasked with supplying a temporary bridge for traffic, so older, run-down highway bridges over Craycroft Road in Tucson, Arizona could be demolished and rebuilt without causing any shutdown of the highway. Working under a tight deadline, we began with a photo reference and series of two-dimensional drawings in the form of PDF documents. These allowed us to build out the more technical elements of Acrow’s video feature. Also, though this particular video doesn’t feature any kind of voiceover, if desired we’re able to include it in our offering. Next, our team modeled Acrow’s bridge element by hand, while using custom-made pipeline tools to quickly flesh out the digital environment. Naturally, the rest of the scene was populated with an accurate representation of traffic flow, appropriate road signs, nearby parking lots and even area-specific flora. 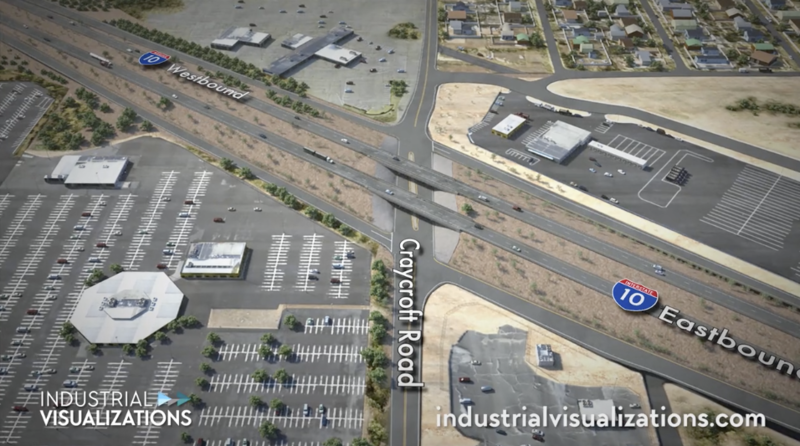 Needless to say, Industrial Visualizations isn’t stopping its production efforts with Acrow Bridge’s Craycroft Road project. If any engineering-, construction- or manufacturing-based business entity needs to effectively communicate with government agencies, contractors or the general public, we’d be more than happy to offer our services. In fact, all that’s needed to get started are a few blueprints or CAD files—using state-of-the-art 3D tools such as Autodesk Maya and our own in-house suite of scripts and apps, we’ll gladly do the rest. 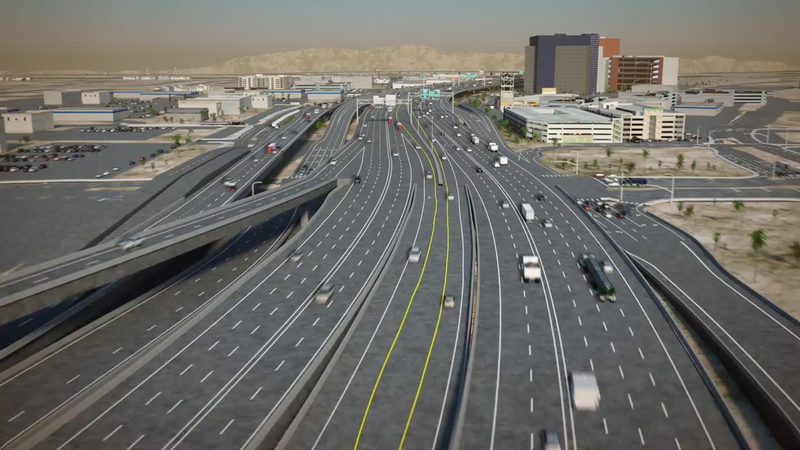 But enough about what my team and I offer—what did you think of the Craycroft Road project? Your feedback is what matters most. In the comments section below, share your thoughts and feelings. I’ll be happy to respond to each and every one of them. Or, if you’d rather go straight to the source, feel free to reach out to Industrial Visualizations here. Rest assured, in little time at all, be it me or a fellow team member, someone will personally reach out to answer any questions you might have. As always, thanks for reading!